The traditional Islamic view is that if you want to know what the God of the Bible is like, then read the Koran. Not only must Muslims believe that ‘we worship the same God’, but this message is always a central component of the presentation of Islam to Christians and Jews. In a rare moment of candor, Dawkins reluctantly accepted that the teachings of Jesus Christ do not lead to a world of terror, whereas followers of radical Islam perpetrate the very atrocities that he laments. Because of this realization, Dawkins wondered aloud whether Christianity might indeed offer an antidote to protect western civilization against jihad. The flip side to Dawkins’ point is that Western Civilization might indeed be warranted in protecting Christian culture against Islam and jihad. This is such an obvious set of considerations and conclusions — all of which stem from a correct answer to the Same God Question — that it is astonishing to be confronted with the writings of those who have never considered this issue, or who have answered The Question incorrectly. Perhaps nowhere do we find a better expression of the general lack of awareness — and even admission of lack of interest — concerning this pivotal question than in Rod Dreher’s December 17, 2015 post, “Muslim God, Christian God”. I am thankful for his honesty in this article, even if I am deeply disturbed by it. 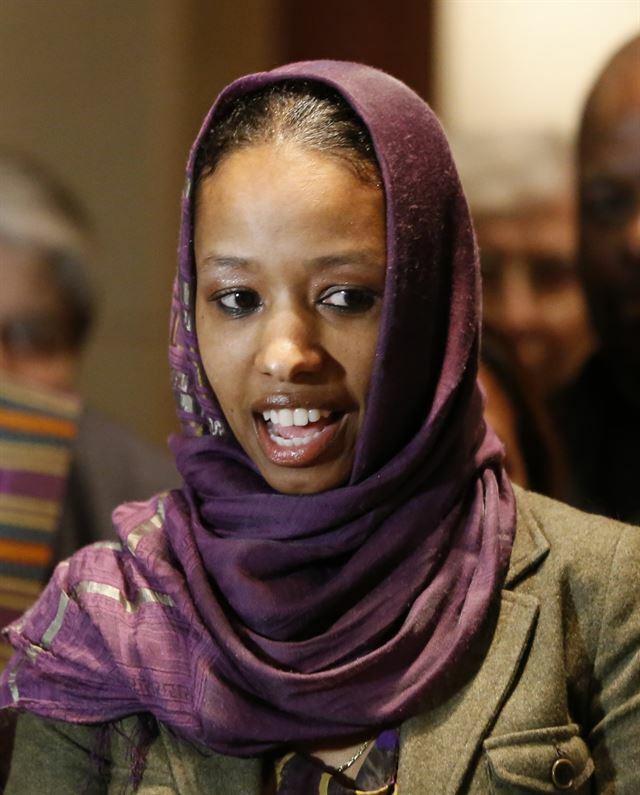 [Her] recently expressed views, including that Muslims and Christians worship the same God, appear to be in conflict with the College’s Statement of Faith. And so, we launch into the theological deep-end, with the “Same God Question” finally being brought out into the public square. You can read the whole thing, which for all its obvious sincerity is hopelessly muddled, but I think that’s part of Dreher’s point. To be honest, I’ve never thought at all about whether Muslims pray to the same God as Christians. The Catholic Church teaches that they do, and that was my belief when I was a Catholic, though I never gave it a minute’s thought. I don’t know what I believe now, to be honest. We know that Muslims do not pray to the Holy Trinity — but this is also true of Jews. Don’t Christians (most Christians) believe that Jews pray to the one true God, even if they have an imperfect understanding of His nature? If this is true for Jews, why not also for Muslims, who clearly adhere to an Abrahamic religion? This is why my tendency is to assume that Muslims do pray to the one true God, even though they have a radically impaired view of Him. But how far do we go with that? I’m not sure what I think. I mean, I assume, in charity, that people who intend their prayers to be to the God of Abraham, Isaac, and Jacob are praying to the true God, whatever they lack in theological understanding. But again, I’ve not given this much thought. Again, I appreciate Rod Dreher’s honesty, and I think a great many people are in the same boat as he. They don’t know what they think, and have never given it much thought. Dreher confesses one or the other epistemological malady five times. Five times. In three paragraphs. In our age of genocide against Christians by Muslims in Africa and the Middle East, the global war on Christians by Islam, the collapse of Christianity in Europe, and the global rise of Islam and stealth jihad everywhere, for sincere Christians to not have ever thought about the “Same God” issue, and to not be sure what they think about it, is deeply, deeply troubling. Yet as we see from the constant stream of statements from Christian bishops, leaders and writers urging “greater solidarity with Islam“, embracing Muhammad as “a prophet” who “brought love, peace, and much more” to the world, and similar affirmations, the avoidance of The Question is an epistemological malady not merely of the average Christian in the pew, but of church educated, elite and shepherds as well. Political leaders look to such positions as grounding their policies towards Muslims and the religion of Islam in general. And the public policies justified by such Islam-embracing pronouncements provide an open door for Islam to advance its influence and control throughout the West. Indeed, this has been going on for decades now. This must be addressed, and reversed, if Western leaders are to stand a chance of articulating a coherent policy to protect and preserve our civilization, and see it through the new century. Dreher asks on his blog, “How about you?” Therefore, I decided to put some effort into this, especially as my own 2010 book deals with the “Same God” question at some length. Of course, in the context of this article I am speaking of Christian “orthodoxy” with a lower-case “o”. So, from a theological position, I will be appealing to traditional Christian foundations common to Orthodox, Roman Catholics, Protestants, Coptic Orthodox (and shared by Oriental Christians), and Islam’s position vis a vis Christianity. Alas, Revelation is out of print (with used copies fetching prices of $160 and up on Amazon! ), but Dr. Durie has updated his presentation on this issue in a new book, Which God? : Jesus, Holy Spirit, God in Christianity and Islam, in which I was unable to find the quote I selected for my opening citation. Ralph Sidway is an Orthodox Christian researcher and writer, and author of Facing Islam: What the Ancient Church has to say about the Religion of Muhammad. He operates the Facing Islam blog. Leading Saudi cleric says Islamic State and Saudi Arabia "follow the same thought"